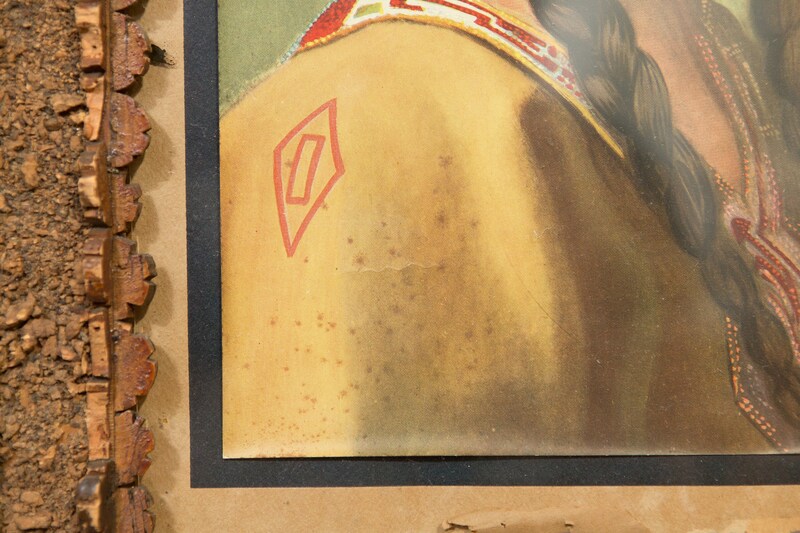 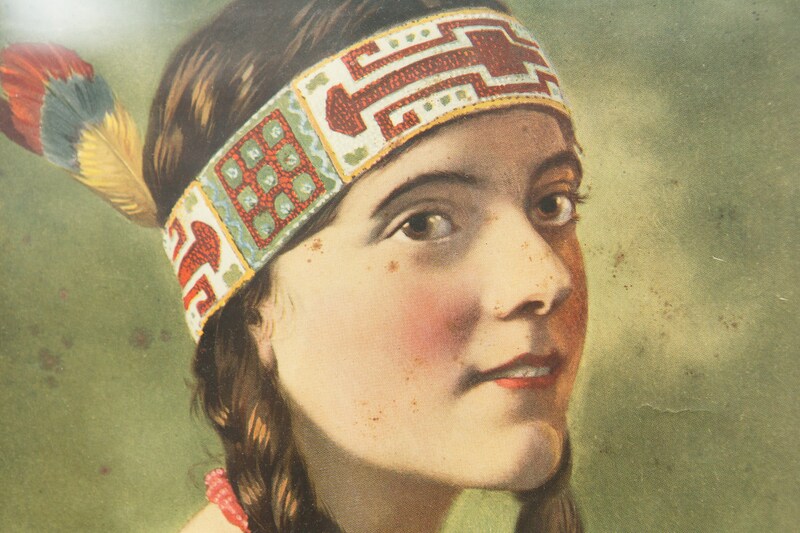 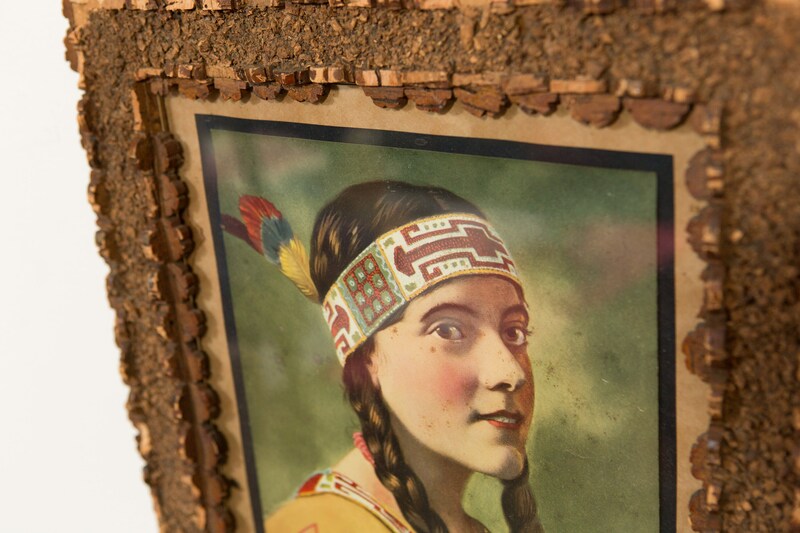 This is a framed lithograph print of a white woman wearing a beaded and feathered Native American headband. 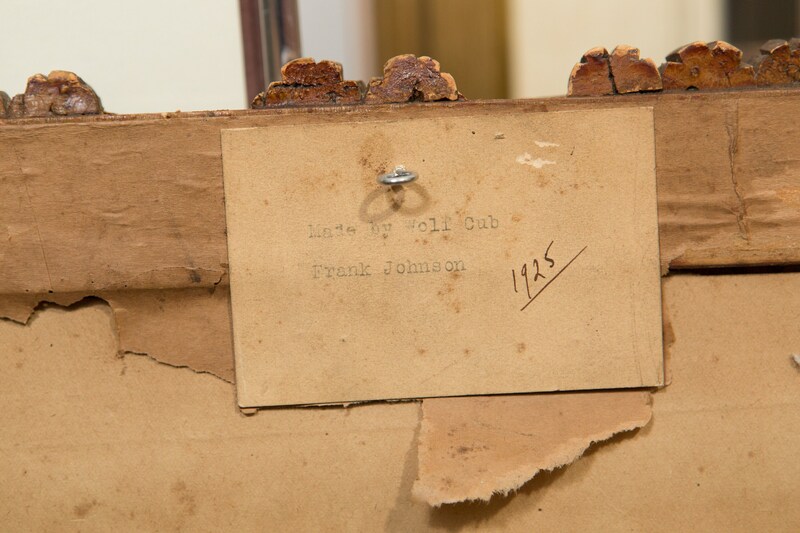 Back marked, "Made by Wolf Cub Frank Johnson 1926". 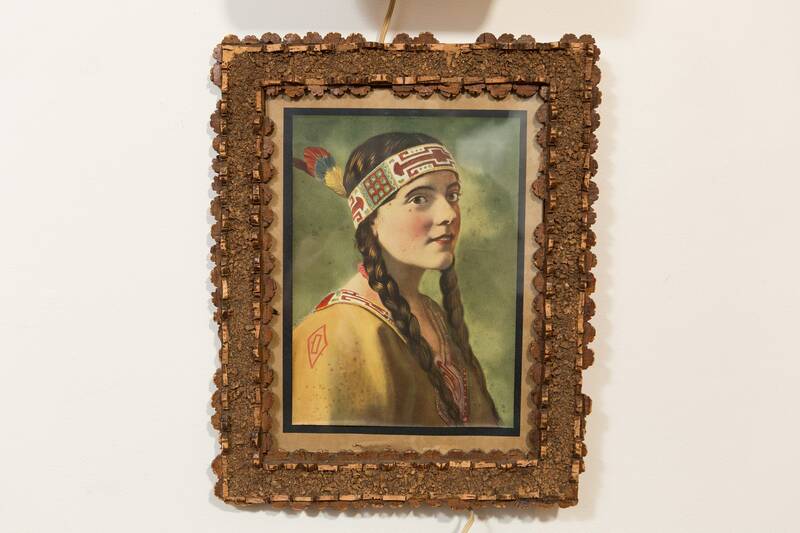 I believe this is a print by Frank Tenney Johnson, a painter of the Old American West. 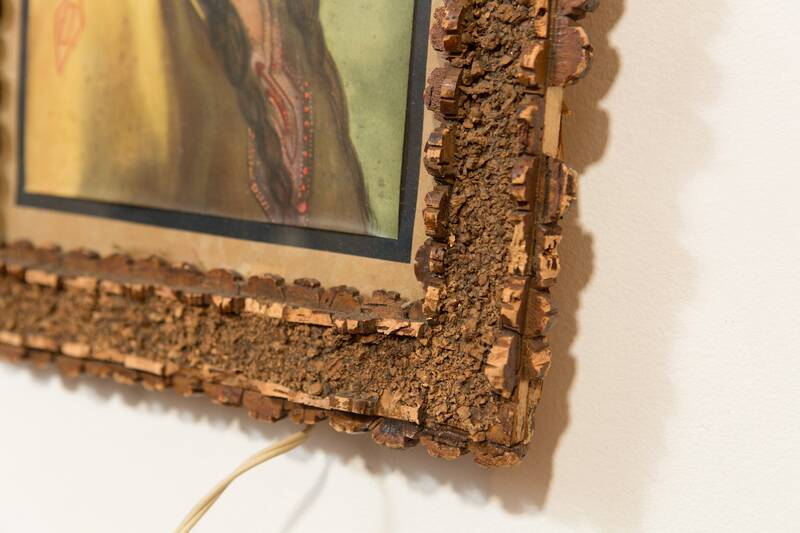 Artwork has some spots, perhaps fro dampness. 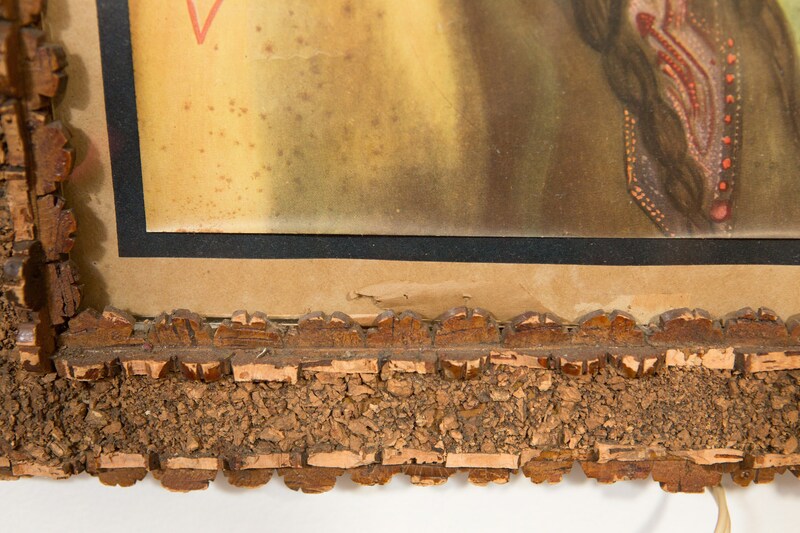 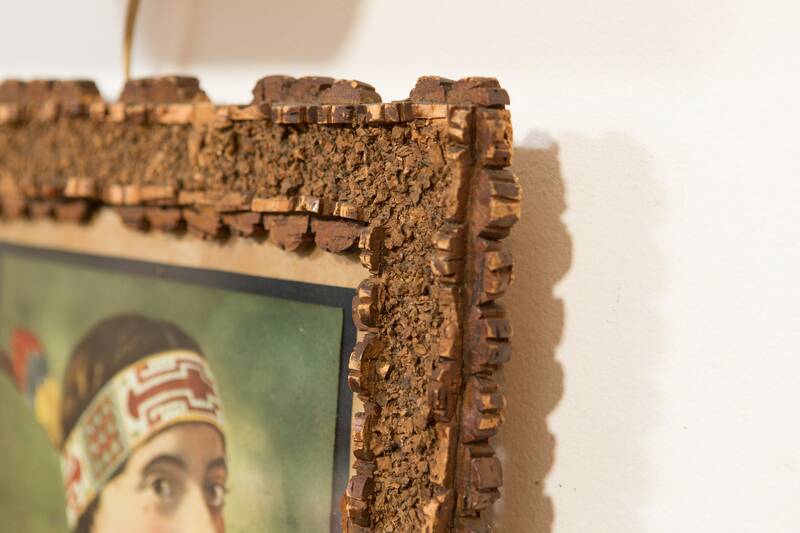 Frame has imperfections - there are spots where parts of the frame have fallen off. 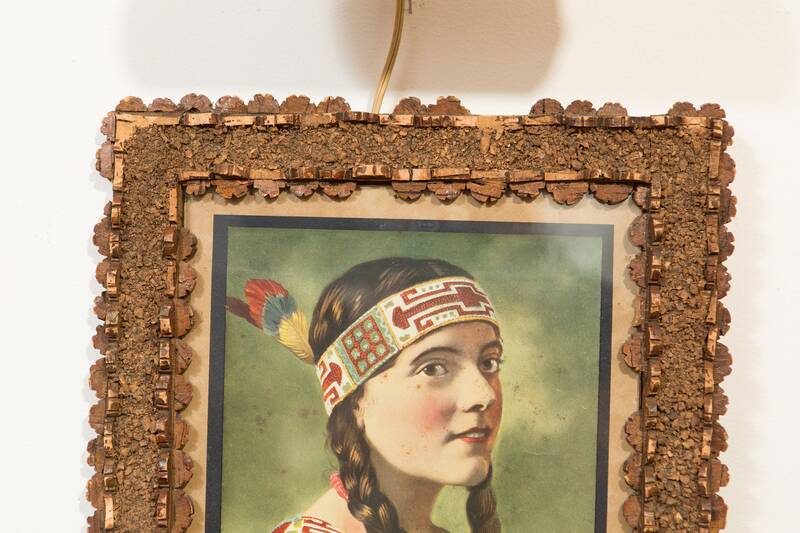 The frame is delicate. 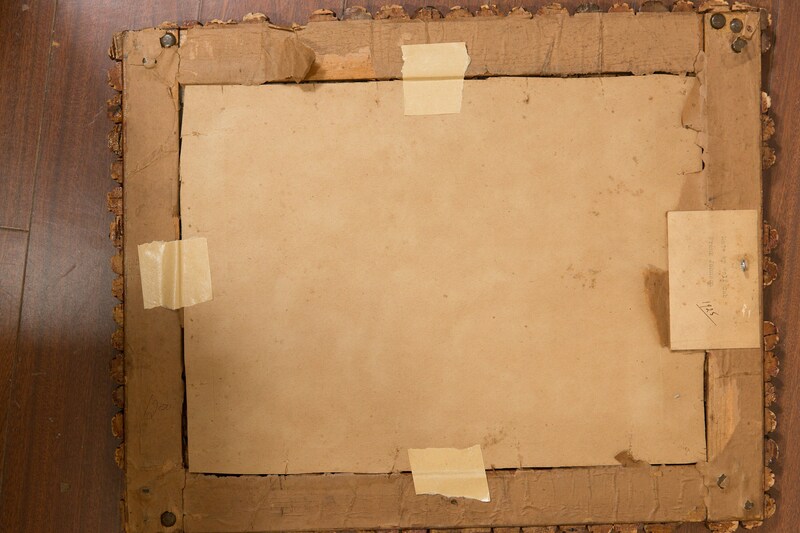 See photos for detailed condition.